Mobile apps with image recognition capability can help you perform reverse image searches, scan barcodes, and convert alphanumeric characters on image files into editable text. 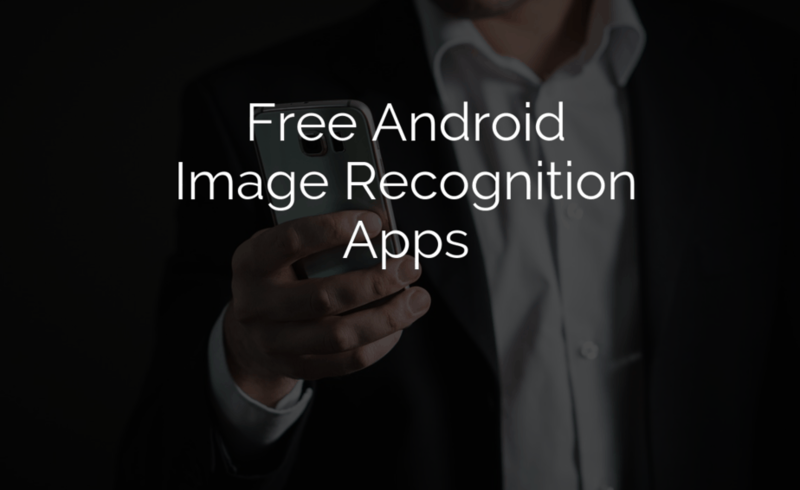 If you are considering expanding the functionality of your Android smartphone or tablet, check out these eight image-recognition apps. You can safely download all of these utility apps for free from the Google Play Store. This free and popular Android app enables you to convert letters and numbers on an image file into usable text, which you can copy, paste, and edit. The Text Scanner [OCR] app is easy to use and saves you from the hassle of having to retype words and strings of numbers from screenshots, for example. It also supports more than 50 languages and is integrated with Google Drive. The powerful image-recognition capability and multiple-language scanning support of this Android app ensure you won’t ever have to waste time transcribing text from images. The Image to Text app automatically detects and translates more than 60 languages. It lets you crop images and runs a spellchecker on the text you’ve scanned with your Android smartphone or tablet. It also enables you to export the converted text into a file, including straight to PDF format. With the Google Lens app, you can turn your Android device into a bar code or QR code scanner. You can also use it to identify geographical and cultural landmarks, as well as paintings, book covers, and many other two-dimensional images. Simply use the mobile phone camera and then run the app to learn something useful about the snapshot that may be available in its database. Google Lens is outfitted with the same OCR (Optical Character Recognition) capability as the Image to Text app, thus enabling you to scan images and then lift usable text from them. Use your smartphone’s camera to take photos or videos of passports and other documents. Then rely on the free MRZ Recognition app to quickly transform their machine-readable contents into readable text. This high-performing Android app uses Smart 3D OCR technology for identifying and picking out for text conversion all image and video streams of files with machine-readable zones or MRZs. The caveat: this app offers no option to export the converted text into a file. Smart IDReader comes from the same software developer, Smart Engines Limited, as MRZ recognition. 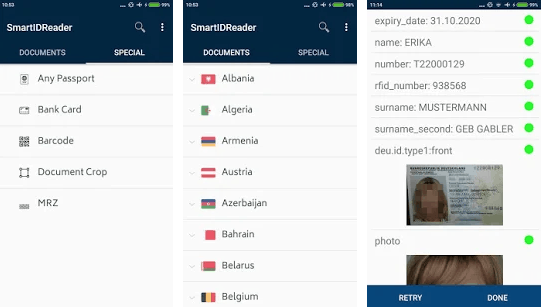 Smart IDReader app for Android is a highly specialized mobile solution for recognizing multiple-language data in IDs and then converting such data to fill out respective fields in forms or worksheets. 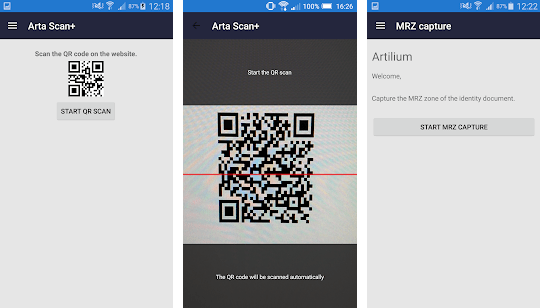 Like the previously mentioned MRZ Recognition and Smart IDReader apps, Arta Scan+ is another great alternative for scanning the machine-readable zones of IDs and passports. With the Arta Scan+ app on your Android smartphone or tablet, you won’t have to enter data into form fields manually and worksheets again. Just use the camera of your mobile device as a scanner and let the app recognize the data for conversion into text. The free Wisetag app’s image-recognition capability enables you to capture with your mobile device’s camera any image (or choose one from an existing digital gallery) and then instantly generate appropriate hashtags for that particular image. The hashtags are customizable and are all generated based on Wisetag’s “reading” of the picture content. Wisetag integrates with Instagram seamlessly so that you can use it right away with your Instagram account. Smart Lens – OCR text scanner allows for taking photos of text instead of transcribing it. All the presented information is easy to collect, translate, copy etc. Easy to take a picture and interact with options, also has a history feature so you don’t loose the data. Having the right set of image-recognition utility apps at your disposal eases the burden off some of your day-to-day tasks. Your Android smartphone or tablet can then double as a portable bar code and image-to-text scanner, among others.